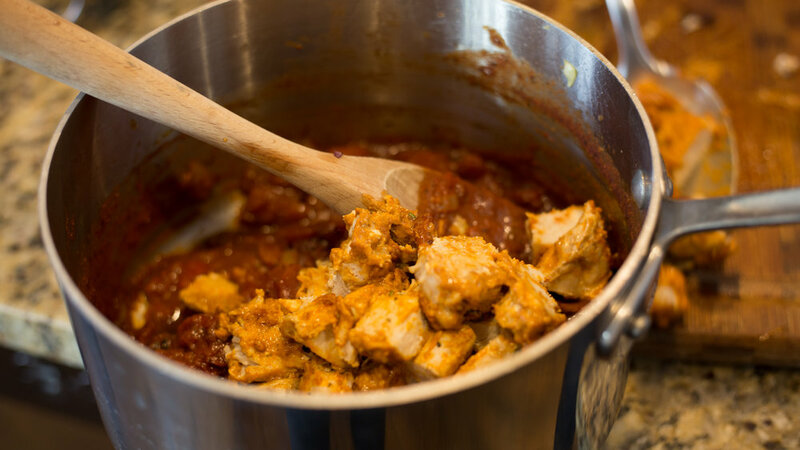 Spicy Chicken Tikka Masala w/ Cauliflower Cake — Happy Food Co. COMBINE yuzu mayo, ginger, HALF of garlic and tikka masala seasoning mix in small bowl. 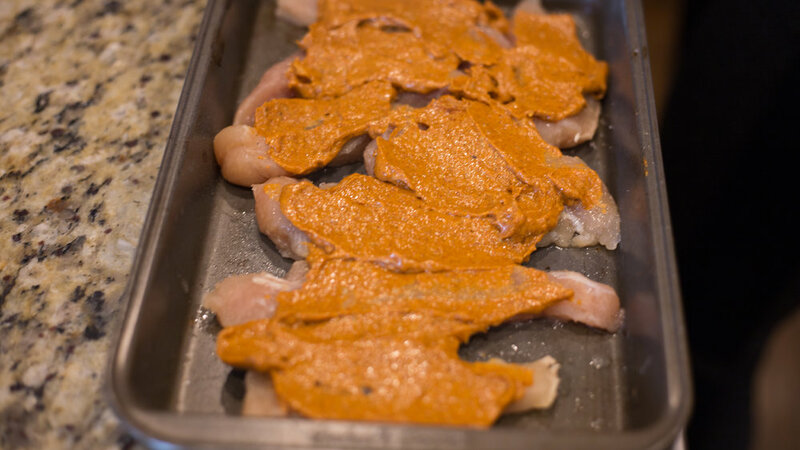 SPRAY a baking dish with non-stick spray and place chicken breast tenders in dish. SEASON with salt and pepper and coat evenly with yuzu mayo marinade. COVER dish with foil and bake for 15 minutes, or until cooked through (no pink inside). COOK cauliflower rice in microwave-safe bowl and cook on high for 3 minutes. 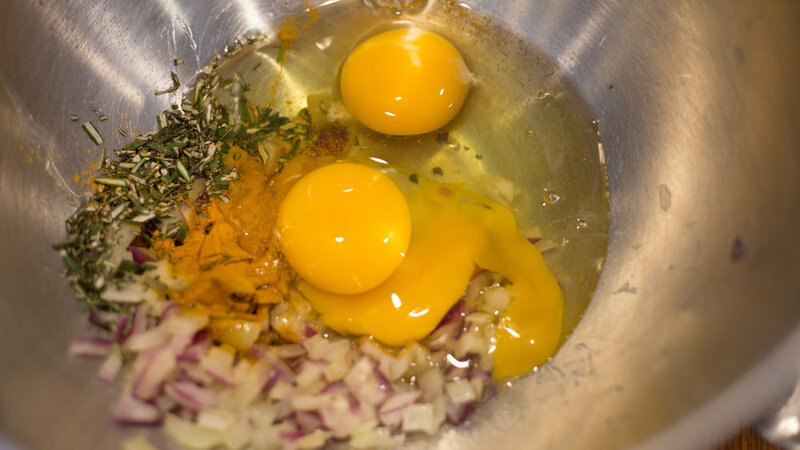 COMBINE cooked cauliflower, cauliflower cake mix, red onion, eggs and rosemary in medium bowl. Blend with hand mixer or stand mixer until smooth. 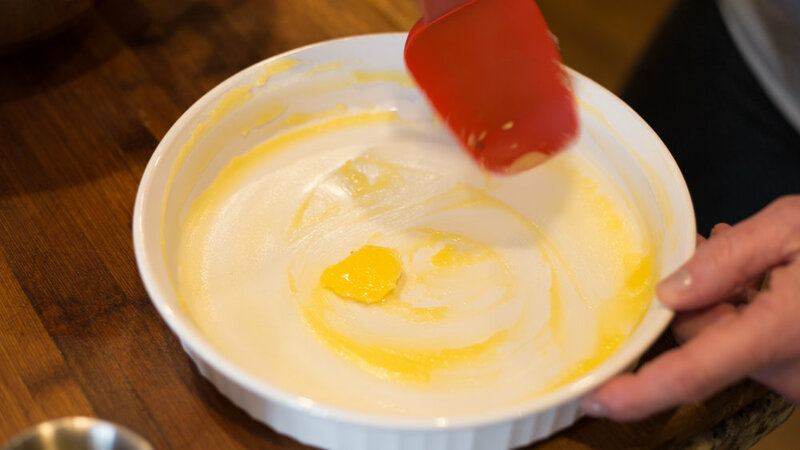 MELT ghee and brush over pie plate with pastry brush. Sprinkle bottom and sides of pie plate with sesame seeds. SPREAD cauliflower mixture into pie plate and bake with chicken for 15 minutes or until set and golden brown. 3. BRING IT ALL TOGETHER , SERVE & ENJOY! CUT cooked chicken into bite-sized pieces. Set aside with any juices. ADD contents of olive oil packets to medium stockpot over medium-high heat. 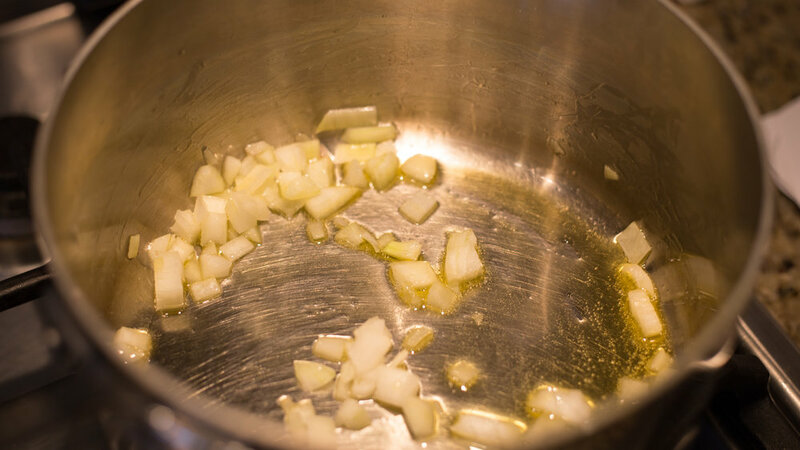 Add white onion to stockpot and sauté until fragrant, about 3 minutes. ADD remaining garlic, tomato paste, paprika and garam masala seasoning and stir to combine and reduce heat to low. STIR IN tomatoes, red wine vinegar and chicken. SEASON to taste with salt and pepper and finish with cilantro and lemon juice. SERVE tikka masala with side of cauliflower cake and enjoy! ★TIP: Please recycle your dinner kit packaging. Our containers are compostable and made from plant-based materials. This coral pink rosé offers aromas and flavors of fresh watermelon, cherry, subtle citrus, lavender and Mediterranean herbs. It is medium-bodied, fresh and elegant with a soft texture and mineral finish. Balanced pale ale with bright, refreshing flavors of grapefruit and passion fruit accented by juicy, citrusy hops.